My niece recently moved into her first apartment and bought her first Crock Pot. As a full-time teacher, she has been looking for easy, Crock Pot meals to make with her busy schedule. She called me the other day to share this delicious Santa Fe Chicken recipe. Everything can be prepared the night before - pop in the Crock and have a great Mexican meal ready when you get home. 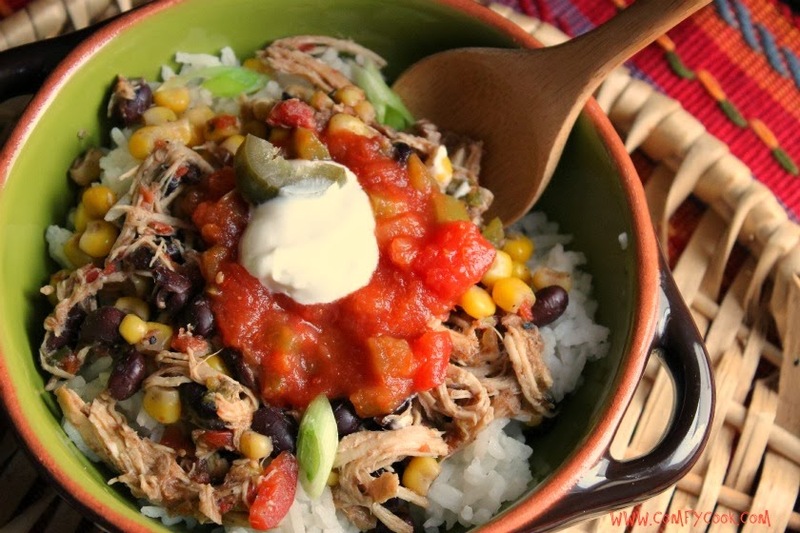 Tender, juicy shredded chicken breast is combined with black beans and corn and can be served over rice, as a filling for a burrito, or served with tortilla chips. Combine chicken broth, beans, corn, tomatoes (with their juice), cilantro, scallions, garlic powder, onion powder, cumin and Mojito Lime Seasoning or chili power in the crock pot. Season chicken breasts with salt and pepper and lay on top. Cook on low for 10 hours or on high for 6 hours. Half hour before serving, remove chicken and shred. Return chicken to slow cooker and stir. Adjust salt and seasonings to taste. 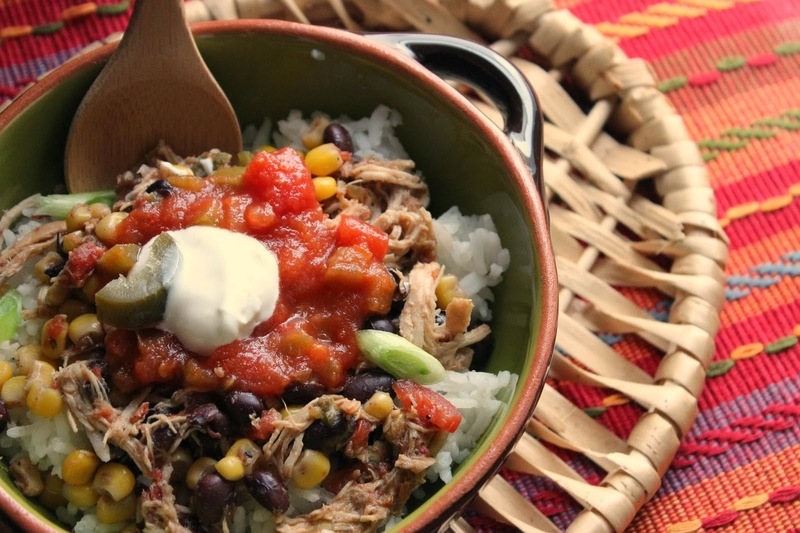 Serve over rice or tortillas and your favorite toppings. Cook's Note: There will seem like there is quite a bit of liquid in this recipe. After shredding the chicken and returning it to the Crock Pot, the liquid is absorbed into the chicken making it tender and juicy. Crazy for Crock Pot Recipes? Visit Midnight Baker's Pinterest Board!